Union Tavern's basket of battered fish. Walk into the old palmistry building on East Sprague these days and you're more liable to catch someone palming a basketball on one of the eight flat-screen TVs than glimpse someone deciphering the future written in delicate lines on patrons' hands. While much of what's now in the recently opened Union Tavern is new — the roof that was caving in was replaced, as was the floor — the tavern is also filled with reminders of the past, with vintage beer signs on the exposed brick walls and repurposed materials used to create tables and the bar. "We had to start from scratch, it was just a shell when we bought it," says owner Dale Kleist, who purchased the building in January for $150,000. "So everything's brand new, but we tried to give it kind of an old feel." The palmistry signs were salvaged. One now lines the hallway to the bathroom in the building's roughly 1,000-square-foot addition, which also made room for a kitchen and storage. The other hangs above tables made from salvaged wood from the bleachers at Gonzaga's old Kennel. 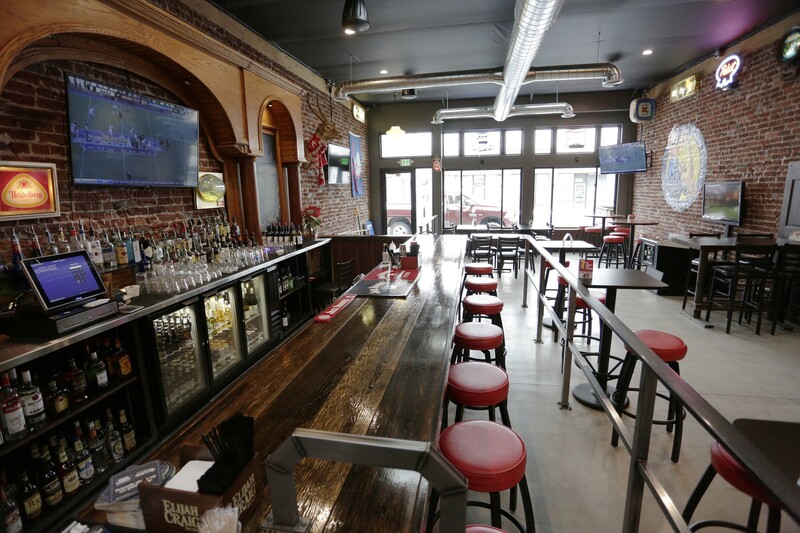 Kleist found a massive wooden-back bar for sale on Craigslist, and after getting it here from Montana and making some modifications, the nearly 40-foot-long wooden arches now frame shelves of liquor and beer along one of the bar's long brick walls. The former owner of Fast Eddie's and Famous Ed's, Kleist has taken some of the tried and true elements of his former establishments and put them in place at the Union Tavern. There are hot dip sandwiches, served with Ed's sauce, which the chef describes as a tomato-based barbecue-like sauce that's "a little sweet, a little smokey, a little hot." Then there's Power Hour, when pints of most craft beers are just $2 and it's only $1 for domestics, from 3 pm to 4 pm Monday through Friday. But drinks are also fairly affordable on a regular basis, with a tall glass coming in at just 50 cents more than a pint, beers and ciders on tap typically range from about $4.50 to $6.50 depending on the size and type you order. The menu, full of sandwiches, a smash-style burger, salads and other typical bar fare, also features housemade potato chips and an appetizer of Sonnenberg's sausage from just up the street. 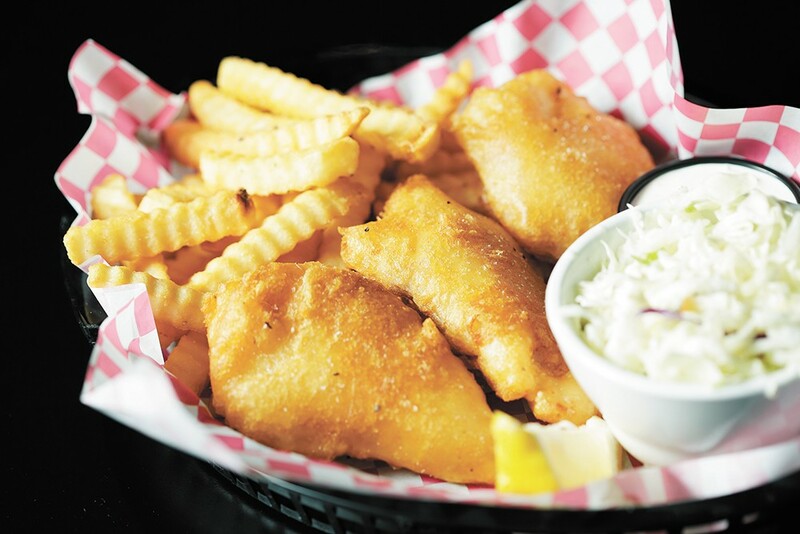 The fish and chips have been hugely popular, Kleist says. While the tavern opened just the day before Thanksgiving, things have been fairly steady during the day as nearby workers hit up the new lunch spot, he says. "You know, there's a lot of blue-collar industry around here," Kleist says. "It's amazing. We pack it out for lunch. Yesterday there wasn't a seat to sit in." The new bar sits along the stretch of Sprague that the city gave a fresh look in 2017, with new sidewalks, lights and plants, and a narrower road that makes the area friendlier to pedestrians and parking for businesses. Had it not been for that revitalization work, Kleist says he likely wouldn't have bought the building. But the price was right, and things are looking up for the area. The original print version of this article was headlined "Signs of the Future"